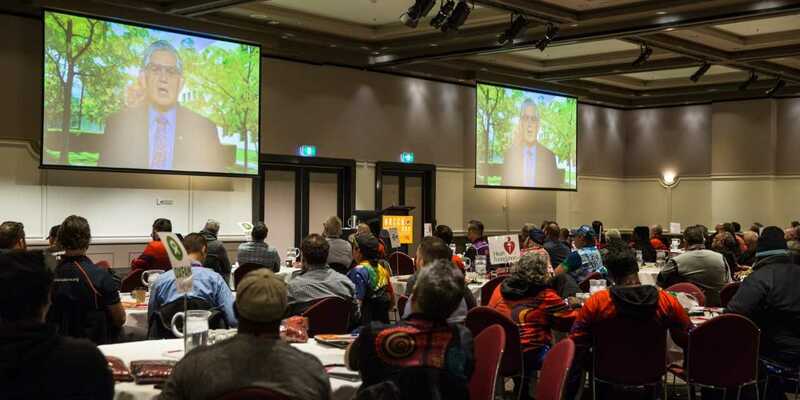 ” We, the Aboriginal males gathered at the Ochre Day Men’ Health Summit, nipaluna (Hobart) Tasmania in August 2018; to continue to develop strategies to ensure our roles as grandfathers, fathers, uncles, nephews, brothers, grandsons, and sons caring for our families. We commit to taking responsibility for pursuing a healthy, happier, life for our families and ourselves, that reflects the opportunities experienced by the wider community. We acknowledge the NAIDOC theme “Because of her we can”We celebrate the relationships we have with our wives, mothers, grandmothers, granddaughters, aunties, nieces sisters and daughters. We also acknowledge that our male roles embedded in Aboriginal culture as well as our contemporary lives must value the importance of the love, companionship, and support of our Aboriginal women, and other partners. 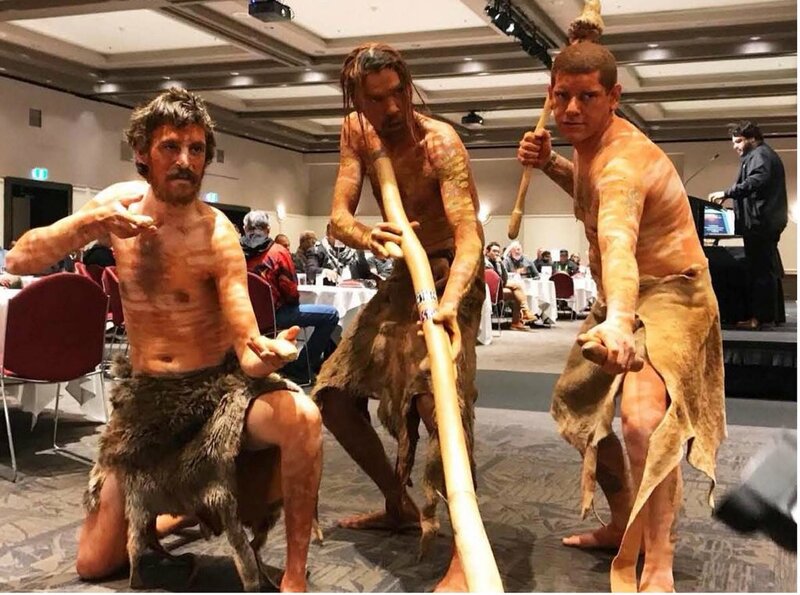 ” For so many of the men at Ochre Day, healing had come about through being better connected to their culture and understanding, and knowing who they are as Aboriginal men. Culture is what brought them back from the brink. We’ve long known culture is a protective factor for our people, but hearing so many men in one place discuss how culture literally saved their lives really brought that fact home. It made me even more conscious of how important it is that we focus on the wellbeing side of Aboriginal health. If we’re really serious about Closing the Gap, we need to fund male wellbeing workers in our Aboriginal Community Controlled Organisations. In Victoria, the life expectancy of an Aboriginal male is 10 years less than a non-Aboriginal male. Closing the Gap requires a holistic, strength- based response. As one of the fellas said, “you don’t need a university degree to Close the Gap, you just need to listen to our mob”. I look forward to next year’s Ochre Day being hosted on Victorian country, and for VACCHO being even more involved. 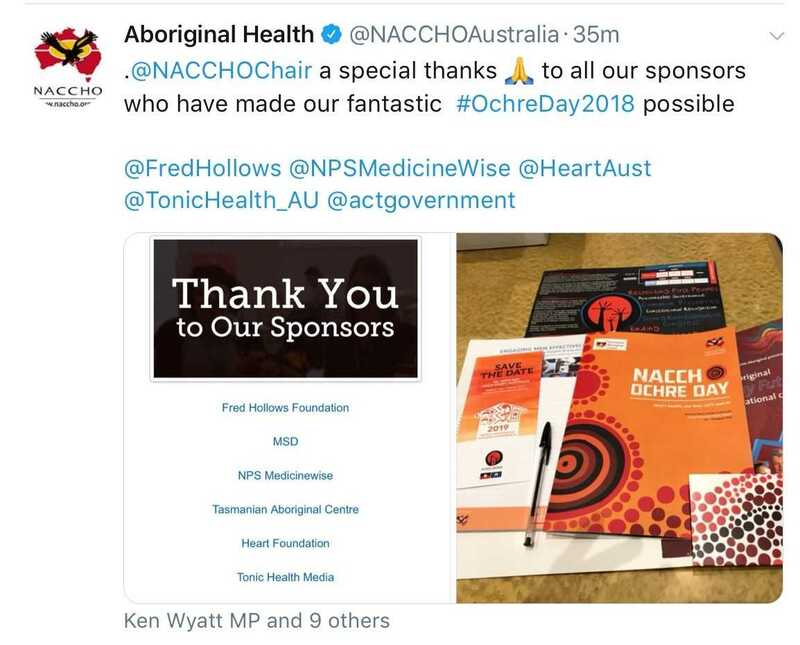 The National Community Controlled Health Organisation (NACCHO) Chairperson John Singer, closed recent the Hobart Ochre Day Conference-Men’s Health, Our Way. Let’s Own It! 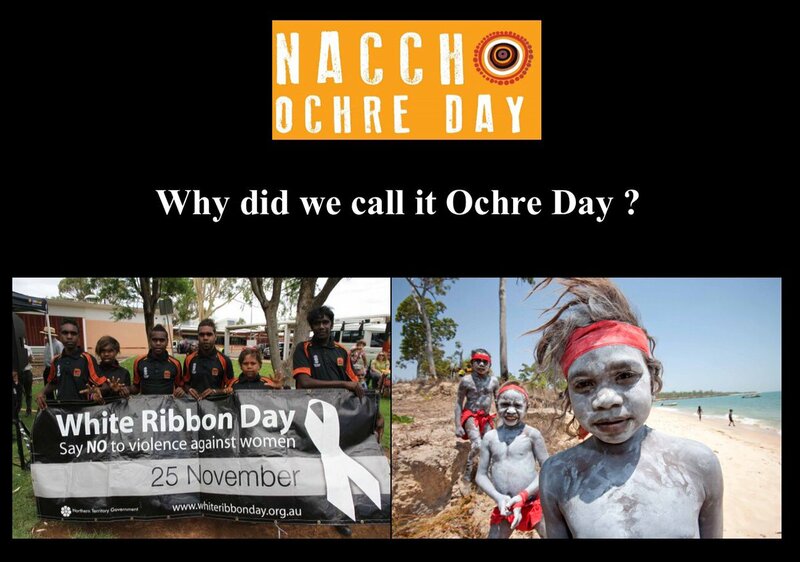 Ochre Day is an important Aboriginal male health initiative to help draw attention to Aboriginal male health in a holistic way. The delegates fully embraced the conference theme, many spoke about their own journeys in the male health sector and all enjoyed participation in conference sessions, activities and workshops. More than 200 delegates attended and heard from an impressive line-up of speakers and this year was no exception. Delegates responded positively to The Hon. Ken Wyatt AM MP, Minister for Aged Care and Indigenous Health funding of an Aboriginal Television network. and Mr Rod Little from National Congress delivered a brief history on the progress of a Treaty in Australia as a keynote address for the Jaydon Adams Oration Memorial Dinner. The winner of the Jaydon Adams award 2018 was Mr Aaron Everett. A comprehensive quality program involving presentations from clinicians, researches, academics, medical experts and Aboriginal Health Practitioners were delivered. Delegates listened to passionate speakers like Dr Mick Adams, Dr Mark Wenitong, Patrick Johnson. Joe Williams, Deon Bird, Kim Mulholland and Karl Briscoe. Topics included those on suicide, Deadly Choices, cardiovascular and other chronic diseases as well as family violence impacting Aboriginal Communities. Initiatives to address these problems were explored in workshops that were held to discuss how to make men’s health a priority and how to support the reaffirmation of cultural identity. Speeches by Ross Williams, Stan Stokes and Charlie Adams addressed the establishment of Men’s Clinics within the Anyinginiyi Aboriginal Health Service and Wuchopperen Aboriginal Health Service, which demonstrated the positive impact that these facilities have had on men’s health and their emotional wellbeing. These reports as well as the experiences related by delegates highlighted the urgent need for more Aboriginal Men’s Health Clinics to be established especially in regional, rural and remote areas. Mr John Singer was able to put forward a range of priorities that he believed would go some way to addressing some of the concerns raised. strength-based approach to Men’s Health. 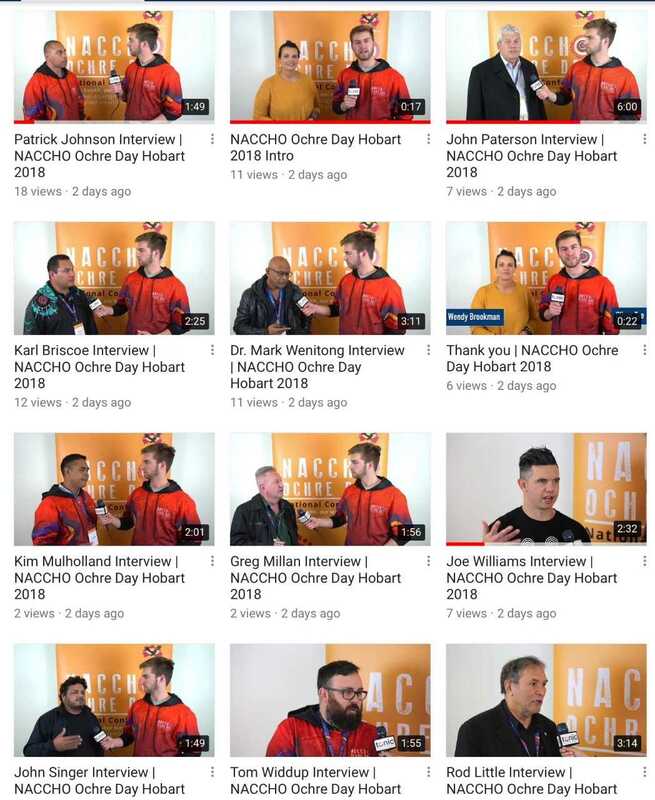 I’ve just returned from my first NACCHO Ochre Day Men’s Health Conference in Hobart, and it was so deadly, it most definitely won’t be my last. About 260 Aboriginal men from the Kimberleys to urban environments and everywhere in between attended. White Ochre Day started as an Aboriginal response to White Ribbon Day. For Aboriginal people, White Ochre has significant cultural and ceremonial values for Aboriginal people. It’s not just about the aesthetics of painting white ochre on to our skin, there are strong cultural elements to the ceremony and identity. 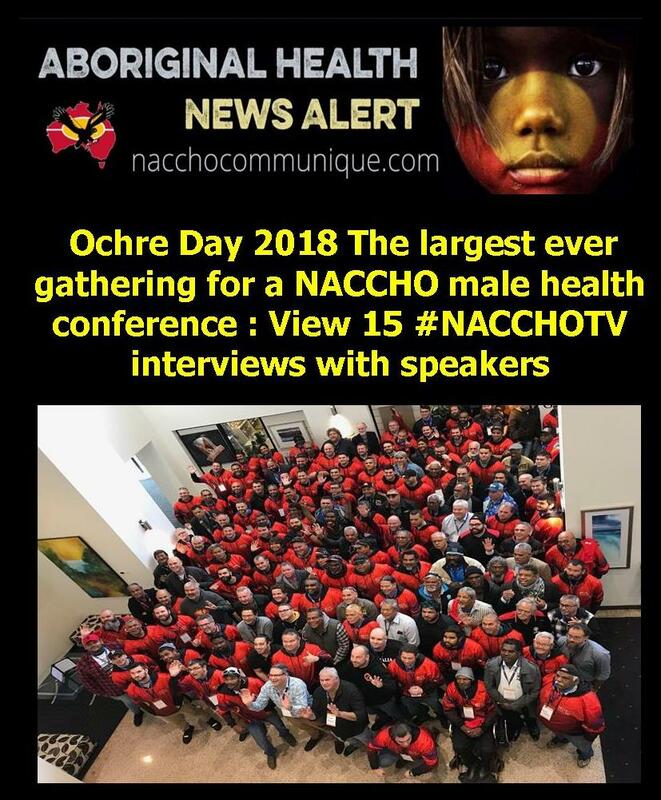 Ochre Day is a gathering of Aboriginal men for sharing ideas of best practice and increasing access to better outcomes for Aboriginal and Torres Strait Islander men for us to deal with family violence, and with spiritual healing, as Aboriginal men. I was privileged to attend this conference with all the male Aboriginal staff members from VACCHO, who represented a diversity of ages and backgrounds. They work at VACCHO in areas including cultural safety, mental health, policy, sexual health and bloodborne viruses, telehealth, and alcohol and other drugs. It was a great bonding experience for us, and fantastic to be part of this national conversation. Aboriginal men die much younger than Aboriginal women, and we die an awful lot younger than the non-Aboriginal population. We have the highest suicide rates in the world, and suffer chronic disease at high rates too. We walk and live with poor health every day, and much of this is down to the symptoms that colonisation has brought us. We didn’t have these high rates of illness and suicide pre-colonisation, when we had strength in our culture, walked on our traditional homeland estates and we all spoke our languages. And we certainly didn’t have incarceration before contact. 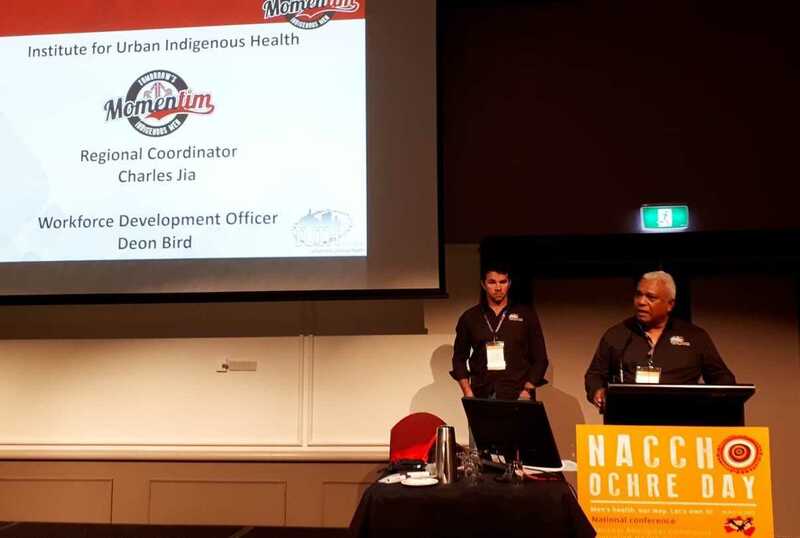 The Ochre Day Conference covered all aspects of health and wellbeing for Aboriginal men; physical, mental, social and emotional wellbeing. It was about our need to reclaim our rightful place and cultural footprint on the Australian landscape. It is a basic human right to be healthy and have good wellbeing, as is our right to embrace our culture. Improving our health is not just about the absence of disease, it’s about developing our connection to Country, our connection to family, and feeling positive about ourselves. This position of reclamation of our right place within Australia society is critical given the current political landscape, and the challenges that Aboriginal people face. Victoria has an election in November, and a national election to come soon too. As Aboriginal people we know that race relations will be a tool used against us, and our lives will often be portrayed from the deficit point of view that will focus on what’s wrong with us. In light of the above, it was good to hear about all the positive things Aboriginal men are doing across the country to help their families and communities, from the grassroots to the national level. Rightfully, we talked a lot about mental health issues. There was a lot of personal sharing; men talking about their own issues; men who had attempted suicide speaking openly about it. There were survivors of abuse, of family violence. For any man, Aboriginal or non-Aboriginal, these are big things to get up and talk about. I was so impressed and moved by what these Aboriginal men had to share. There was such generosity of spirit from these men in sharing their stories, and I’m not ashamed to say some of these brought me to tears.